The belief of the mainstream Ahlus-Sunnah wa al-Jama’ah is that our beloved Prophet of Allah (صلى الله عليه وسلم) and other Prophets (عليه السلام) are alive in their respective graves. They are usually involved in performing prayers and worshiping Allah (out of their own free choice without it being obligatory on them), which we cannot normally see or feel just like Angels are alive and present but we cannot normally see them. 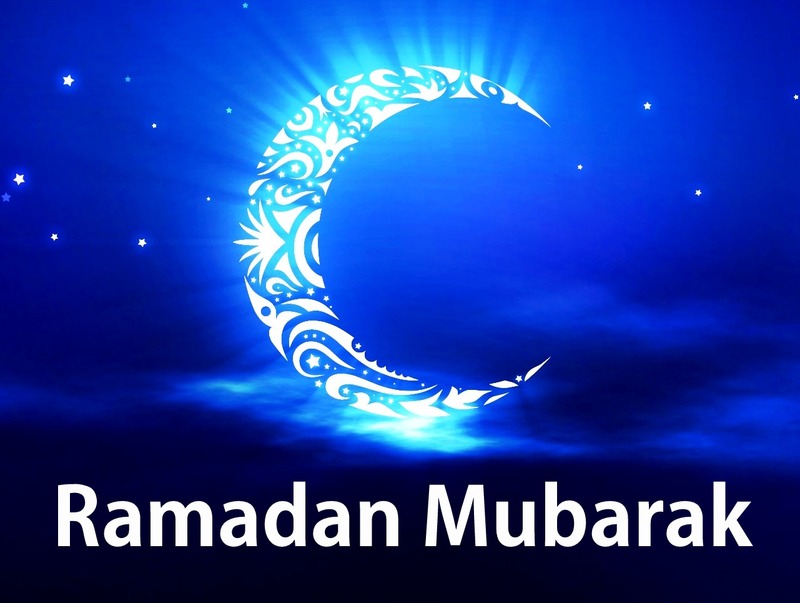 It has always been the practice of virtuous Muslims to perform ‘Shabeena’ during the month of Ramadaan (i.e. to complete an entire Quran Sharif in Taraweeh in either one, two or three days). It is even reported about some Buzurgs of the deen that they used to complete an entire Quran Sharif daily outside of Ramadaan. All of this is permissible and thawaab on condition that the Holy Quran is not read so hastily that its words aren’t pronounced correctly or that recitation isn’t done with laziness. Ghair-Muqallid Wahabies (those who reject the Four Imams) call Shabeena Haraam. In other words, they curse those who recite the Quran the entire night. What deen do these people have? In this ayat, the Holy Prophet صلی اللہ علیہ وسلم is ordered to perform narnaaz approximately the entire night. In the beginning of Islam, making ibaadat the entire night was Fardh, with just a small part of the night being allowed for rest. The obligation was annulled (mansookh) a year later-but its preferability (istihaab) still remains. So, whoever remains awake the entire night and sleeps very little acts upon this ayat. It should be bared in mind, however, that only he who can properly recite the Holy Quran should make Shabeena, as deduced from the instruction of Tarteel. We come to know that the Prophet صلی اللہ علیہ وسلم recited Surah Baqarah (2 lh paras) in Salaatul.Khusoof. In Shabeena, 1 ½ paras occur in each rakaat, so if ½ paras are proven to have been read in one standing, 1 ½ is definitely permitted. 1. To be a male. 2. To be within the boundary of a town. 3. To be healthy (physically able to perform the Salaah). 4. The road to the Masjid should be safe. 5. Not to be physically handicapped, for example, being blind or cripple. 1. Make Ghusal (bath), trim nails and remove the unwanted hairs of the body. 2. Wear clean clothes. Of course, this should be done at all times. 3. Use sweet scent (I’tr) when going to the Masjid. 4. Try and read the following Surahs: Surah Kahf and Surah Dukhaan. 5. It is highly recommended that one reads the Salaatus Tasbeeh. 6. Read as much Durood Shareef as possible. 7. Make as much Du’a as possible. 1. The time for Jummah Salaah starts after Zawaal until the end of the Zohar Salaah time. 2. After the first Azaan, read the 4 Rakaah Sunnat-e-Mu’akkidah. 3. The Imaam normally gives a short lecture. 4. Then the two Khutbah are read. You should not speak, read Salaah or make Zikr during the Khutbah. You should listen carefully to the Khutbah and face the Imaam. 5. After the Khutbah, 2 Rakaah Fard Salaah is read with Jamaah. 6. Thereafter, the following Salaah are read: 4 Rakaah Sunnat-e-Mu’akkidah, 2 Rakaah Sunnat-e-Mu’akkidah, and lastly, 2 Rakaah Nafil Salaah. 7. Since Jummah is not Waajib upon the females, they can read their Zohar Salaah at home. 8. A person who misses his Jummah Salaah can perform his Zohar Salaah. 9. Nowadays, it is seen that many youngsters rush off from the Masjid immediately after the Fard Salaah of Jummah. This is a great sin as they are leaving out the Sunnah of Sayyiduna Rasoolullah (sallal laahu alaihi wasallam). 10. It is a great sin for a male not to go for Jummah Salaah without a valid excuse. 11. Avoid talking and making noise in the Wudu Khana and Masjid during the lecture and the Khutbah. 12. Do not come late to the Masjid and miss out on listening to the Jummah Khutbah. Many have the habit of just entering the Masjid before the end of the Jummah Khutbah and rushing for the Fard Salaah. This is not a good practise. 13. It is of great benefit to recite the Salaatu Salaam (ie. send Salaams to Sayyiduna Rasulullah sallal laahu alaihi wasallam) after the Jummah Salaah. Salaah is the soul of all our Ibaadaat (prayers). The Pious predecessors have stated that if a person does not perform his Salaah, then no other Ibaadat performed by him or her is accepted and if a person loves Salaah and is punctual in his Salaah then Allah Willing, his or her wrongs will all be forgiven. We should thus try our best to perform our Salaah and also show strictness in our homes so that our families may also perform their Salaah.Hazrat Esa (alaihis salaam) once passed by a river. There he saw a beautiful and elegant looking bird lying in a puddle of mud and dirt. The bird’s entire body was covered with filth. He then noticed this bird come out of the mud and then dive into the river until it was clean and beautiful again. Thereafter, the bird once again flew into the dirt and mud and became covered with filth. Once more, the bird left the mud and flew into the river again until it was clean and beautiful again. This astonishing act was repeated five times. Hazrat Esa (alaihis salaam) began to wonder as to the reason for this strange sequence of events. Sayyiduna Jibraeel-e-Amin (alaihis salaam) descended and told him: “This bird is equal to a human from the Ummah of the Holy Prophet (sallal laahu alaihi wasallam). Each time he sins he becomes unclean, and when he performs his Salaah, then Almighty Allah purifies him just like the mud and dirt that was cleansed from the bird”. It has been narrated that when a persons Salaah is accepted, then as a reward Almighty Allah creates an Angel that remains in Ruku and Sujood making Tasbeeh until the Day of Qiyamah. The Sawaab of all the Ibaadat of this Angel is recorded in the books of the Salaahi. It has been stated in authentic sources that on the Day of Qiyamah as the people will be passing over Pul-Siraat, which is thinner than a hair and sharper than a sword, there will be a group of people who will say that they are too scared to cross over the bridge. Sayyiduna Jibraeel (alaihis salaam) will ask them how they used to cross the oceans in the world. They they will say that they did so with ships. On hearing their answer, the Musjids that they worshipped in will be brought and they will sit in these Musjids and pass safely over Pul-Siraat. The Holy Prophet (sallal laahu alaihi wasallam) once asked the Sahaba if any dirt would remain on the body of a person who bathed five times daily in a stream in front of his home. They said that no dirt would remain. He then said: “This is the example of the five daily Salaah. Any person who reads his five daily Salaah, is purified of his sins and bad doings by Allah”. Hazrat Abu Zar (radi allahu anhu) states that it was winter and the Holy Prophet (sallal laahu alaihi wasallam) came out of his Hujra. He went to a tree, held it’s branch and shook it. This caused it’s leaves to fall off easily. 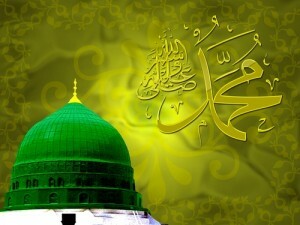 He then said, “O Abu Air and I replied, ‘I am present Ya Rasoolallah (sallal laahu alaihi wasallam)'”. He said: “When a Muslim reads Salaah for Allah, then his sins fall like the leaves of a tree”. Rasoolullah (sallal laahu alaihi wasallam) was questioned concerning which actions were the most loved and closest to Allah. He replied by saying: “To perform Salaah in its appointed time, and he who leaves Salaah has no Deen.” Salaah is the pillar of Deen, the Me’raj of a Mu’min and a sign of success. An intelligent man is one who goes from a low position to a higher position, and an ignorant man is one who proceeds from a high position to a low position. Mustahab is greater than Mubah. Sunnah is greater than Mustahab. Waajib is greater than Sunnah. Fard is greater than Waajib. Greater than all Faraa’idh is Salaah. Even though we make Urs, Fateha, etc, we should remember that the greatest Ibaadat is Salaah. Without this, all our other Ibaadaat is incomplete. The Prophet (sallal laahu alaihi wasallam) has stated: “When your child reaches the age of seven teach him Salaah. When he reaches ten, shun him if he does not read his Salaah”. He also said: “Read your Salaah before your Janazah is read”. It has been stated that on the Day of Qiyamah, will come in the form of white camels whose feet will be made from Amber, their necks from Saffron, their heads from musk, and their reigns from emeralds. Those who gave Azaan will be in front, the Imams of Musjids will guide them forward from behind and behind the Imaams will be the musallees who sincerely read Salaah in Jamaat behind the Imaam. When the others will see this on the Day of Qiyamah they will enquire whether these people are Angels or Prophets. It will be said to them that they are neither. They will be told that such are the Ummah of Sayyiduna Rasoolullah (sallal laahu alaihi wasallam) who were punctual in their Salaah. Dear Muslim brothers and sisters! Perform your Salaah, for Salaah will assist us in this world, in our graves, and on the Day of Qiyamah. Salaah is obligatory upon every mature Muslim male and female. Whether a Muslim is black, white, rich or poor, literate or illiterate, Salaah is Fardh upon him or her five times a day. Salaah is not Maaf at any time. Salaah is a pillar of religion, recognition of faith and the key to Jannah. Salaah is the Sunnah of the Ambiya, coolness of the eyes of the Prophet (sallal laahu alaihi wasallam) and the Me’raj of the Believers. Salaah is the greatest of all Ibaadah and the most important obligation. It washes away sins and builds good deeds. It saves one from Hell and guides one towards Paradise. By reading Salaah, one gains the Pleasure of Almighty Allah and the Prophet (sallal laahu alaihi wasallam), love of Angels, safety from calamities, good health, healthy life, Barakah in sustenance and blessings in all aspects of life. The grave of the Salaahi will be enlightened with Noor. On the Day of Reckoning, he shall rise close to the Prophets, Saints, Martyrs and Pious Ones. If a child is seven years of age, he should be taught to read Salaah, and when he or she reaches the age of ten years, they should be warned and shunned if they do not comply. Laziness in Salaah is a sign of hypocrisy. To leave out Salaah completely is a sign of Kufr and to refute or make a mockery of it is Kufr. A non-Salaahi is disliked by Almighty Allah and His Rasool (sallal laahu alaihi wasallam). There is great torment for him in the grave. His grave will be cramped and reckoning will be harsh. He will rise with Qaroon, Firawn, Hamaan and Ubayy ibn Khalf. No other good deed of his will be accepted. Salaah should be read sincerely with congregation in the masjid. To leave out the Jamaah without reason is a major sin. To read Salaah in Jamaah is 27 times more excellent than reading alone. 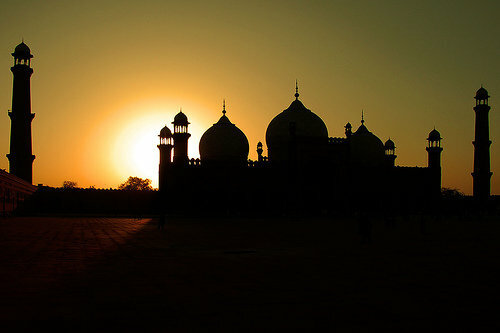 In Jummah and in Eidain, the Jamaah is a pre-condition without which there is no Salaah. In Taraweeh, congregational prayers is Sunnat-e-Kifaayah. To read Witr Salaah with Jamaah in Ramadaan is Mustahab (desirable). Congregation for Nafil and Sunnah is Makrooh. For women to be present in any congregational prayer is disallowed. For Jamaah, the Imam has to be present. The Imam should be a Sunni – Sahihul Aqeedah. He should know the laws pertaining to Salaah and he should recite the Quran correctly. Salaah behind open sinners, clean shaven persons, those who do not keep a Shar’i beard, etc. is Makrooh-e-Tahreemi and Waajib to repeat. In other words, Salaah read behind such persons should be repeated. Salaah read behind hypocrites, misled persons, Dushman (Enemy)-e-Rasool, non-Mazhabites, insulters of the Prophet (sallal laahu alaihi wasallam) in any way, be it by saying that he is mixed in the sand (Ma’azallah), he does not possess sufficient knowledge (Ma’azallah), he is an ordinary human being like us (Ma’azallah), he is unaware of the happenings in this world (Ma’azallah), he is not the Final Messenger (Ma’azallah), etc. – all these statements lead a person out of Islam and Salaah behind such persons is totally forbidden since there is no Salaah behind such a persons. Salaah is not just any worldly transaction, but it is for Allah. Thus, one should not read Salaah behind just anyone, but should be satisfied with the Imam’s character and Aqeedah. After Salaah, it is of great blessing to make Du’a. The Prophet (sallal laahu alaihi wasallam) said that Dua is the crux and soul of Ibaadah. To lift up your hands after Azaan and Salaah to make Dua for the Believers is loved by Almighty Allah, a Sunnah of the Holy Prophet (sallal laahu alaihi wasallam), a practice of the Sahaba and a means of mercy and reward. To shake hands, and make Salaam to one another after Salaah is also permitted. Remember: Only stand for Salaah after hearing “Hayya alas Salaah” and “Hayya alal Falah” in the Iqaamah. To stand before this is Makrooh and to follow the proper practice of sitting is Mustahab (desirable) and a sign of the Ahle Sunnah.